Building a website no longer means that you need to hire a website coder to build a website. The technology and companies that develop the website technology have come a long way in the last decade. Ten years ago, a person needed to know the difference between CSS and HTML, as well as how to use the code to build a website. For a simple overview of the two main programming languages, let’s compare them to a house. The HTML code is the frame of the house and the CSS code is the walls and paint. HTML code defines a few items that tell a computer that they are reading a web page, yet, for the average user it defines headlines and paragraphs. The CSS code tells the computer how to decorate them. Without CSS, all the text in HTML looks the same. This is an important point because in the framework of a template if you can’t change the CSS code, all the templates will generally look the same. The text and images distinguish one template website from another. Ease of use comes with limitations. The type of limitations depends on the service provider. The most popular website building platforms are Weebly, Wix, SquareSpace, and WordPress.org. The ease of use and limitations vary among these platforms. Choosing a higher monthly package can remove certain limitations. Other limitations do not lift with any monthly price. As we break down the features, benefits, and cost of each platform, keep in mind what you need right now for yourself, business, and brand. Also, be aware what you might need in six months or year from now. At the end of the article, we’ll compare all the platforms. Each type of “house” is right for someone. It is a matter of find the right one for you and your website goals. WordPress began as a blogging platform and has become one of the most flexible website builders due to being open source. With full access to the platform, designers and developers have created tools specifically for the platform. There are two WordPress websites. WordPress.com, which is a hosted free blogging and website builder site and WordPress.org, which offers a free download of the latest version of WordPress for your use on your own website hosting service. This section covers the options available when you host WordPress from WordPress.org. WordPress is unique from Wix, Weebly, and Squarespace in that you have full access and own your website and content. The downside to owning is you need to decide how to build your home and maintenance. There are limitless options. WordPress includes basic themes and plugins making it ready for blogging. However, it is not a drag and drop platform out of the box. There are a few different plugin options like Aqua Page Builder, Qards, Themify Flow, and Thrive Themes that can turn WordPress into a drag and drop type of platform. Several website designers and developers have created themes for WordPress over the years. There are entire websites dedicated to giving the themes away and selling them. WordPress also offers a marketplace for free themes, which are vetted before appearing in the market. Most themes are mobile-ready, however, you need to verify that a website will be responsive and how it is mobile-ready. There are several frameworks used to display a desktop website on mobile phones and tablets. When selecting a theme also view the mobile version before uploading it or purchasing the theme. Plugins are similar to apps that added features to your WordPress website. There are numerous categories for plugins that range from free to premium. The range of free plugins are endless and most premium plugins offer limited access through a free version. There are over 600 slideshow plugins available for free from the WordPress marketplace. Any type of slideshow you desire can most likely be found in the WordPress market or another website that sells WordPress plugins. The media library in WordPress keeps your content organized. You can also edit your images and add SEO data to the content directly in the media library. Similarly to slideshows there is a plugin that will allow you to add self-hosted or 3rd party videos from sources like YouTube and Vimeo to your website. Some of the video plugins can also make your videos responsive for better viewing on mobile devices. You can integrate any type of form into your website with a plugin. The form options vary from drag and drop to added features like PayPal payments. WordPress started as a blogging platform, so it is already built-in and ready to go. Every element of your theme and plugins can be edited. Creating a Child Theme allows you to update your theme without losing the customizations made to the theme and plugins. There are a couple of eCommerce platforms available as plugins. The two most popular platforms are WooCommerce and MarketPress. These free plugins also have paid add-ons further customize the options like payment plans and payment gateways. Because WordPress is open source most email marketing platforms offer a free plugin to automatically connect your email marketing to WordPress. WordPress does what you design it to do and you can code it to do nearly anything. The biggest drawback is being overwhelmed and not knowing what you need to get started. Below are our favorite plugins for any type of website. Setting up a WordPress website can take time depending on the theme and plugins you add. But, once the platform is setup and you know your way around, WordPress is fairly easy to use. It takes time to learn it, but the access you have might outweigh the time to learn it. You do not own the WordPress platform, but you do obtain a license to every plugin and theme you acquire. All the customizations you do can move with you wherever you go. If you decide to leave WordPress at any point there is most likely a way to move it because you own the database information and can export everything or save the files and folder individually. Use the WordPress Backup to Dropbox plugin to automatically save your database. You can adjust how often your website saves in the settings. Keeping your data separate is crucial to easily re-upload after a crash. Websites crash. It happens. Be ready for when (not if) it does. Most website owners will only experience a brute force attack once in awhile, but when you do, the bandwidth used can shut-down your website even if it is not successful. If the attackers try long enough, they will be successful. Use iThemes Security Plugin to automatically block users’ IP addresses who try to login too many times with a bad username or wrong password. WordPress can be a marketing powerhouse. Begin by installing Yoast SEO and have access within your post editor to add keywords and easily view the effectiveness of your keyword saturation. Free. WordPress.org is an open source platform and does not charge for you to use it. Your costs depend on your hosting package. You will need to find, pay for, and set-up your own web hosting, but this choice can save you a lot of money in the long-term. Website hosting for WordPress can range depending on the host. A WordPress host would be with a company like SiteGround (review), BlueHost (review), WP Engine (review), or WordPress VIP. The secondary cost might be a website developer, a person that can code customizations to your theme or a website designer to design an original theme for your business. With WordPress, you can pay as little as $4 per month or as much as $200,000+ if you hire high-end website designers and website developers. The beauty of WordPress is that you can decide every element and cost associated with each element. A good (and cost-effective) way to go, is pick up a subscription of Envato Elements, which will give you not only unlimited WordPress Themes, but also Plugins so you can continuously evolve your site functionality, without having to pay up every time you want to try something new. Oh, and there’s unlimited downloads of stock photos too, making sure your site will never be boring to look at! I highly recommend using BlueHost.com for WordPress hosting. Their simple installation process, great customer service, reliability and high quality hosting makes them an easy choice to make. 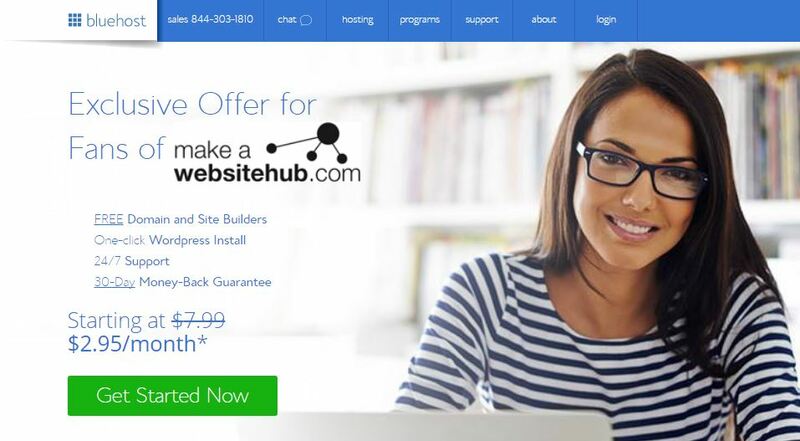 If you sign up to BlueHost today you will get a great discount exclusive to makeawebsitehub.com visitors as well as a FREE domain name worth up to $15 for your new blog too!!! They also offer an excellent money back guarantee with no contract if you don’t like their service. You can get hosting with them for just $2.95 per month (36 months sign up) + a FREE DOMAIN NAME worth $15. Normally this hosting package would cost you $7.99 per month! Wix.com was founded in 2006 as an Adobe Flash-based website builder. After the success of the Apple iPhone in 2008 several website designers and website services moved away from the use of Flash for websites because the iPhone did not support the platform. Wix introduced an HTML5-based platform in 2012 and stopped the support and development for its Flash website builder. Wix.com promotes itself as a free website builder for one-page websites. This type of platform is called living with the parents because the room might be free, but don’t be shocked if your parents charge you for additional expenses. If you expect your website to grow your business, then expect to hire someone to move your website or start from scratch if you outgrow Wix’s options. When you arrive on the Wix homepage, it immediately asks you what type of website you want to build. They offer templates for businesses, designers, restaurants, hotels, and more. Technical knowledge is not required on the Wix platform. Drag and drop your elements onto the website without pre-set parameters. This can be good, if you have a sense of design otherwise it could go badly. Wix offers over 500 templates for different types of businesses that can create nearly any type of website. Or check out these cool Wix website examples for more inspiration. Wix has made mobile-friendly a part of their website builder since moving to HTML5 in 2012. Edit and retouch your photos in Wix before adding them to one of the 40 gallery templates offered by Wix. Wix offers millions of free stock photos for use on your website. Wix allows you to add a video as the background of your website, which can transform the viewer’s experience with your website. Parallax is an effect that can scroll text as a static background image. A parallax 3D effects move layers of a website at different speeds creating a 3D appearance. Wix.com homepage is an example of this effect. The background image for each section overlaps and the text moves at a different speed than the background. To see an award-winning example do a Google search for “The Boat SBS” to view the graphic novel presented in Parallax 3D. Lock one of your elements to a location on the webpage. Pinning an element means that it will always be visible even if the viewer scrolls or resizes the screen. Add a customizable blog to your website. Wix has over 250 apps that you can add to your website including communication, finances, email marketing, Etsy, Eventbrite, and social media. Promote your products and services with a Wix e-Commerce store. They offer an all-in-one management tool that helps you track orders, payments, and shipping. With Wix Touch, you can also create an app for your e-Commerce store. The Wix website builder is very simple in its design. The first few days after signing up, the company also emails you training emails to help you build your website. After inputting your email and password, you are put into pre-selected templates based on the category you select, and you can further refine the template by choosing a subcategory. When you see a template you like to hover over it and lick on the edit button. Once your template loads, Wix gives you a video tutorial. All of the templates come with temporary content that you need to replace. Wix is built for the business owners that prefers to manage their own website without much outside help. All Wix accounts include the drag and drop website builder, website hosting, webpages, blogging, invoices, online scheduling, and online storage space. Add the Visitor Analytics app from your Dashboard to view statistics about your website visitors. The Site Booster app allows search engines to find your website. There are over 250 free and premium apps that you can add to your website including email marketing with 3rd party companies like Constant Contact. Other free 3rd party apps include PayPal, Google Maps, Open Table, and Soundcloud. When you register with Wix you are assigned a subdomain based on your email address For example if your email is name@XYZcompany.com your website address will be name.wix.com. Wix offers their lowest premium plan to add your own domain or website address. If your company owns XYZcompany.com you can add it to your account and people will be able to access your Weebly website by entering XYZcompany.com into their website browser. Wix offers four premium subscription plans in addition to their free option: Connect Domain, Combo, Unlimited, and eCommerce. All five packages include the drag and drop website builder, free hosting, and unlimited pages. All of Wix’s subscriptions are paid annually. For $4.08 per month, you can use your own website address, this is the lowest plan available. It also includes 1GB of bandwidth, 500 MB of storage, and premium support, however, it still displays Wix branded ads on your website. At $8.25 per month, the Combo subscription includes the registration of a website domain for one year, 2GB of bandwidth, 3 GB of storage, a customized favicon, and removal of the Wix branded ads. Wix’s most popular plan, the Unlimited subscription costs At $12.42 per month. This subscription includes the registration of a website domain for one year, unlimited bandwidth, 10 GB of storage, a customized favicon, the form builder premium app, site booster premium app, and removal of the Wix branded ads. Similar to the Unlimited subscription, however, for the addition of the online store Wix limits the bandwidth to 10GB and the storage to 20GB for $16.17 per month – if you require more storage or bandwidth then try these other eCommerce platforms. Weebly was founded by students at the Pennsylvania State University (Penn State) in 2006. The university required students to maintain an Internet portfolio of their work. In response, three business students decided to build a platform that made it easier for their fellow students to build their portfolios. This type of platform can be referred to as a renter because your monthly fee covers everything you need. However, you can only dress the website and you only own the elements that you bring to the website builder. Like renting an apartment, you do not own the sink and cannot take it with you when you leave. On Weebly, you do not own the code or the design. So, if in the future you decide to leave Weebly, you can only take your text and images with you. Weebly hosts websites, blogs, and online stores (e-commerce) providing a scale of options through their monthly packages: Free, Starter, Pro, and Business. Zero technical skills are required to build a website. Easily add content elements like text, photos, maps, and videos. Select the type of element you want to add and drag it onto the webpage. Edit your text without the knowledge of HTML or CSS with the built-in text editor, which works similarly to standard word processing software. Select from over 100 professionally designed templates. There are enough themes to fit nearly any preferred design. Choices range from classic to minimalist to bold. Each theme also comes with multiple color schemes to further distinguish your website. Here are some of my top Weebly Examples. All of the Weebly themes are built as responsive websites, which means they are ready for viewing on mobile devices. If you want more control over the look of your website on Apple and Android mobile devices, Weebly has a mobile website editor. As you build the mobile experience, you can edit on the drag and drop interface and test the website with Weebly’s virtual mobile devices. There are six slideshow templates in the Weebly slideshow maker. You can upload photos by dragging photos from your computer, then use the slideshow maker to display the images with captions. 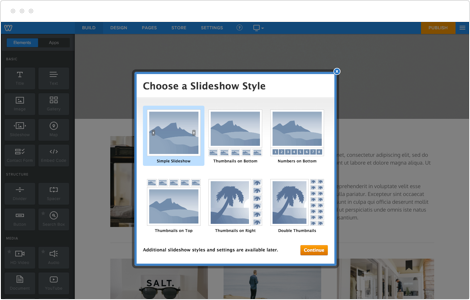 The slideshow maker also allows control over the transition speed, types of transitions, and auto plays the slideshows. Weebly users also gain access to their royalty-free searchable image database. Great websites rely on high-quality images. Weebly offers free and paid photos for use on your website. Add your videos from video hosting websites like YouTube or Vimeo with Weebly’s video embed tool or host your own videos in your Weebly account. Using Weebly’s drag and drop form builder to create a contact form, questionnaire, or other form needed to collect data with text boxes, checkboxes, and drop-down menus. Receive the form submission to email or export it from your website dashboard. Add the blog module to add a blog to your website. Weebly allow control over the categories, tags, and sidebar and includes an RSS feed, social media tools, and comment controls. Weebly offers an integrated shopping cart, secure checkout, and inventory tracking. You can sell physical or digital items, as well as, services. Your viewers can easily filter through your store by color, size, or other parameters assigned to your products. Additionally, as easily as your viewers can purchase your items from their mobile phone; you can also manage your store. Creating your website is very easy, intuitive, and fast. Registering for an account takes you through a setup process that asks about the purpose of your website. This can be a website, online store, or a blog. Next, you choose your theme, the color of the theme, and your website’s URL or website address. Once these elements are set-up, you are placed into the website’s drag and drop builder. The builder includes messaged tips that help to guide you through the process. The whole process can take less than 30 minutes, or if you are in a huge hurry you could do in less than 10 minutes. Weebly is made for the person that needs a website right now. All Weebly accounts include the drag and drop website builder, website hosting, unlimited pages, and online storage space. Weebly has built in website statistics, which includes website views, page views, search terms used, and information on the websites that referred the viewer to your website. Weebly websites are designed with search engine optimization (SEO) in mind. All accounts include a sitemap, HTML friendly coding, meta descriptions, and the website speed and mobile responsiveness that search engines now expect. Cloud-based hosting means that several computers work together to guarantee website resources. Every time someone visits your website a resource is used. Traditional website hosting stores your website on a single dedicated or shared computer. When your website reaches its allotted resources an error can occur in delivering your website to people. Cloud-based hosting guarantees performance. The cloud-based hosting and website themes are designed for quick website load times. The hosting plans include protection against spam and hackers. Weebly’s business plan includes additional SSL security and a secure sockets layer that establishes an encrypted connection between the website host and the website viewer. When you register with Weebly you are assigned a subdomain (example: XYZcompany.weebly.com). Weebly also allows you to connect your own domain or website address. So, if your company owns XYZcompany.com you can add it to your account and people will be able to access your Weebly website by entering XYZcompany.com into their website browser. Weebly offers four packages: Free, Starter, Pro, and Business. All four packages include the drag and drop website builder, free hosting, unlimited pages, storage space, and support via email and chat. Note that the prices quoted below are for 2 year plans. Buying a shorter term contract will increase your monthly costs. The free package is the only package with limited storage space (500 MB) and visible website branding. Also, a custom website address is not an option at this package level. Signing up for a year will cost you $8 p/m. The starter package is the first level that removes all limitations on storage space and removes the Weebly branding. This level also includes a customize the website address, access to more analytics, and you can customize the footer of your website. Also, you can add up to 10 physical products or services to your online store. The Pro one-year plan costs just $12 per month. A Pro package adds phone support, HD audio and video hosting, password protection on pages, and in-website search for your viewers. The number of products you can sell increases to 25 and you can create a membership section with up to 100 members. Business plans costs $25 per month when you buy a years subscription. The Business package is Weebly’s highest level package. With this plan, you gain SSL security, unlimited memberships, and a registration button. You can track inventory, create coupon codes, add a shipping calculator, have the ability to create coupon codes, and add an unlimited number of products and services, as well as, digital goods to your online store. Squarespace was created to make good design easily accessible to artists and local businesses to place the focus on their stories. They are a trusted website builder who is known for their reliable support team. Do not underestimate your future need for tech support. It will always come up no matter what platform you use, so it is something to keep high on your priority list. Squarespace hosts all of their websites to retain the ability to help you when you need it. Unlike Weebly and Wix, you will be able to take some of your code with you after your contract ends, but not all of the code will convert to another platform. It is equivalent to being able to take some of your furnishings from your rented apartment, but your custom made furniture just won’t fit your new apartment. Currently, Squarespace exports only as WordPress files. Squarespace hosts websites specifically designed for e-commerce, small businesses, and design and art portfolios. The easy to use interface makes it easy to your website up within an hour if you have your assets ready. When you are ready, you will be able to slowly scale your website by upgrading your monthly package: Cover Page, Personal, Business, Basic Commerce, and Advanced Commerce. Packages are monthly, but will cost less if you sign-up for an annual plan. Squarespace includes hosting in all of their packages, as well as the ability to use your custom domain. The platform is completely designed and run by their in-house team. Unlike WordPress, there are no additions needed. The seamless system even includes analytics. Having everything with one company is helpful when something goes wrong. The support team will have access to everything from your code to hosting and will be able to assist in finding the issue. Website backups, security, and speed are also handled by Squarespace. Although not available by phone, customer service is always available by chat or email. It is common for website builders to have standard business hours within their time zone, so it is unique Squarespace has 24/7 help available. Also, I can’t stress enough how much easier it is to have real hosting by your website builder so you don’t enter a circle of calls between a hosting and website company trying to figure out what is wrong. Most of the time, no one knows. There is no need to know HTML or CSS to use the platform. The visual editor immediately reflects what your website will look like as you edit. Just as beautiful as the front-end and themes. Squarespace has 40 templates that are simple, clean, and modern. The number is fewer than other platforms, but there is plenty of variation for the design lover looking for a minimalist aesthetic. The feel of each template will change drastically once your unique imagery is used. You can also use multiple themes within one website. Use the best contact and shop pages for you, even if they aren’t from the same theme. Fonts and colors are easily adjustable as well. Each theme is optimized for mobile. You will not be able to design for mobile separately, but each page is built in responsive blocks. As you build, keep in mind blocks on the right side will be viewed under the left block in mobile view. Photography can make or break a website design. This is particularly true for Squarespace’s templates that are minimalist in text and layout to give focus to the imagery. If you do not have or plan to have large resolution images, another platform will give you more options and be a better fit all around. Squarespace has an in-platform image editor designed by Aviary to make small adjustment easy. 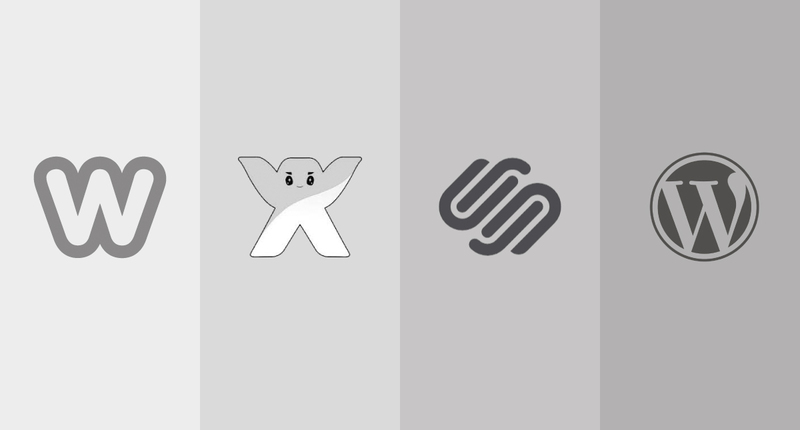 Squarespace integrates with popular third-party apps to maintain your current workflow. Compatible apps include Dropbox, Evernote, Google Drive, Google Calendar, and Gmail. You can also use Squarespace’s well-designed Note App to keep track of ideas and blog notes. Notes are publishable to your blog or any of the integrated third-party apps. If you are versed in CSS, you will have access to customize the themes. 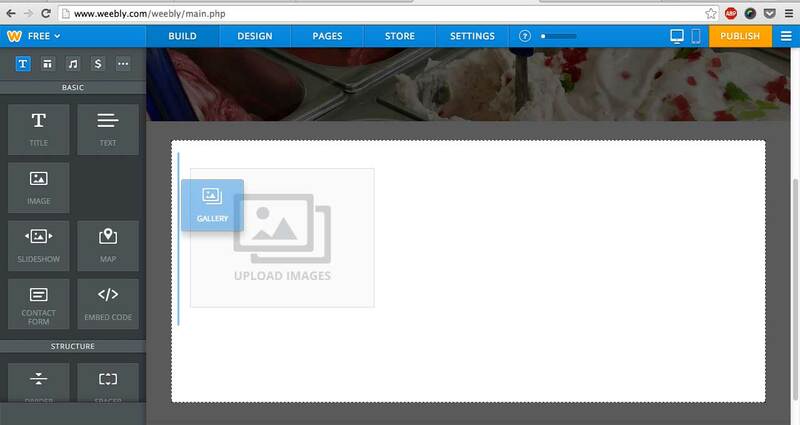 You can also upload your own theme, but this ultimately defeats a main purpose of using the platform. The e-commerce is fully integrated, permits you unlimited products, and designed by Squarespace. The platform is paid for either by transaction fees in the lower packages or is included in the more expensive, commerce packages. When you choose a shop template, your shoppers will be able to use Image Zoom to see product details and Quick View to see a products specifications for clicking through from a product list. If you sell digital products, customers receive an email with a download link with a 24-hour expiration. You can also create single use or multiple use discount codes. The e-commerce platform using ShipStation to import your customers’ information to easily print shipping labels. ShipStation is compatible with Fulfillment by Amazon and all major mail carriers. Keep track of your books with Xero, a cloud accounting service. Xero syncs with Squarespace to evaluate your revenue and tax liability. The e-commerce function is not fully as developed or robust as Shopify or WordPress’ Woocommerce plugin, so if this is the website’s main function, you should consider these other platforms. The marketing features for Squarespace are very basic. There is a touch of SEO, social share buttons, and integration with the email marketing service MailChimp. That is it. Unlike WordPress, you can’t add-on marketing tools and will need to rely on off-site marketing. Depending on your site’s purpose, this may be a deal breaker. Squarespace makes it extremely easy to get going quickly and easily with your website, which will be beautiful if you have beautiful photography to add. It is also easy to maintain. However, marketing with SEO and landing pages is not easily done within the platform. Third-party apps are also very limited. All Squarespace themes are responsive and layouts are built in blocks, so you can easily visualize see how your desktop layout with cascade down when viewed on mobile. Building a responsive layout saves time in having to build multiple versions to fit different sized screens. Other platforms might have responsive options, but this drastically reduces your options if there are only a handful available and one (if any at all) that fits your website’s purpose. Every template design is clean and modern. This experience extends to the backend and the company’s in-house apps. You can get started for $5/month and scale your package as you need pages or you increase your inventory. Squarespace’s monthly packages begin with the $5/month one-page Cover Page. Hosting and a custom domain are included. The Personal Website is $8/month, includes 20 pages and adds a fully integrated e-commerce platform for one item paid for with a 3% transaction fee. Upgrading to Business for $18/month reduces the transaction fee to 2%, increases inventory to 25 items, and gives you unlimited pages. If you are building a large e-commerce site, you will want to scale your package to a Basic Commerce ($26/month) or Advanced Commerce ($70/month) to phase out transaction fees. Advanced is the most comparable to a department store’s e-commerce website, and includes live shipping information for customers and encourages customers to recover abandoned shopping carts by emailing customers. Each package costs a few dollars more a month if you pay month-to-month as opposed to annually. There are several things to consider when choosing the right platform for your website. If you are building the website yourself, you need to decide if you want a drag and drop platform, a Content Management System (CMS), and how much access you want to the HTML and CSS to customize the website to your style. Further, you will need to decide if you plan on hiring anyone to help you now or in the future. Most website developers find working with drag and drop platforms complicated because they are unable to manually change elements, the main function of their expertise. A drag and drop interface places the most limitations to accessing the code and could be a barrier to hiring someone to help you. Website designers might be able to help you with drag and drop platforms. The difference between a website developer and a website designer is their particular expertise. If we go back to the idea of a house, a website developer puts together the frame of the house. With a designer’s guide, they can also slap paint on the walls. A website designer is your interior designer who knows how to arrange the furniture for the greatest design or comfort. Occasionally, these two skills can overlap. Yet, like most trade skills, each person is unique in their abilities and might be a stronger developer than a designer and vice versa. WordPress is the best way to build a site but it does have a learning curve. It’s not really a suitable option for complete beginners. But if/when you get past this initial learning of how WP works, you will have thousands of options (plugins) available that will help you change the look/feel of your site. A self-hosted WP site is the best way to go and the cheapest; you just need to commit a bit of time and effort to learn the basics. And there are plenty of free tutorials available online. Completely agree with you Jonathan. There’s so much out there on the web to help people create websites that have been just a thought in their head for years. WordPress is my favourite as I can mash together something credible in just 1 hour. Wow! great comparison man. I think you just missed WordPress Price quote. They have an offer Here https://wordpress.com/pricing/ (remove this please). I think WP is the best for start Blogging. Its Very easy to learn. There are thousand of tutorial out there. Thanks Jamie. This has really helped me choose what web builder to use on my next big project. I have to say that Weebly is probably the way forward for me. Cool review. But I think we need to clarify that WIX, Weebly & SquareSpace are website builders while WordPress is a CMS (content management system), two inherently different products. That being said, I would compare the website builders to a Toyota (eco-friendly, fuel efficient, overall decent) and WordPress to a Porsche! – WIX is arguably the best website builder if we compare pricing, templates, apps, and pricing. – Weebly has the nicest user interface and it’s the easiest to use, but unfortunately it falls short on templates and apps. – SquareSpace is an epic fail. Yes, their templates look kind of good (if you like minimalism) but I find their user interface very confusing. So I would say that WIX and Weebly are okay for your small local business, but for a serious online presence, I would recommend using WordPress. I hear where you’re coming from, but I personally see them all as CMS & Web Builders. WordPress has some fantastic web building plugins that allow you to construct custom web elements and templates via a drag and drop functionality. I personally have use SquareSpace on a few client websites and I have found the interface very user-friendly, but hey that’s just my own personal opinion. Hi Jamie, thanks for your comparison on these 4 web builders. Is very useful information. Personally is not a web builder thus I guess WIX and Weebly should be my platform to start with. I was reading your comment on WIX and it seems their templates are all mobile ready too compare to Weebly? Also I guess both WIX and Weebly are unable to accommodate changing of templates if I decided to change template later ? I think WP is good for advance users and especially one needs to export one website to another which I doubt WIX or Weebly can do it? You can change templates quite easily on Wix and Weebly. And why would you need to change at a later date? Figure out what you need now and make the decision as to what web builder to use.